As your website or blog grows in popularity, you may be faced with the challenge of keeping updates, information and new articles flowing at a rate that is compatible with the level of activity that many visitors expect. This can be a dilemma for those who love to blog in their spare time but have other endeavors that pay the bills: how do I balance my passion with my paycheck? Many bloggers resent the notion of monetizing their blogs due to the perception of “selling out”, but there are numerous ways to inject profitability into your blog without having to sell ads that do not fit your worldview or interests. While some bloggers have moved to a system such as Google AdSense that allows advertisements to automatically appear on the blog without having (or being able to) screen each ad that pops up, there are still many great, passionate people who sell advertising for their site directly to the company or individual who wishes to place it there. There are several content management systems such as WordPress that have advertisement plug-ins available, allowing you to easily place custom advertisements wherever you wish. By working with individuals who are interested in advertising on your specific site, you can provide a lower price than many traditional advertising formats and only allow advertisements that are relative to your interests. If you site is about all things fishing, then why have you not considered reviewing specific products related to fishing? Even more poignant: why are you not making money off of these reviews? Some of the most successful blogs on the internet combine multiple aspects of a particular subject in order to be successful, but it is nearly universal that popular blogs provide reviews and critiques of certain products – with a link to purchase said product from an affiliate. Amazon is one of the most popular and easiest affiliate programs to use, providing its users with a commission for every item that sells via users’ strategically-placed links. Nobody is asking you to lie or to sell your soul; you simply provide quality information to the reader and if they find your review to be helpful, you may end up making a tip in the process. If the knowledge of your blog’s particular subject extends beyond that of many others, you may be able to create custom content that can then be used to generate additional revenue. One of the most common examples of this type of product are e-books, which can range in topic from how to find out what search engines “see” on your website (Pingler’s Website Spider Tool is handy in this particular subject) to what methods of revenue generation work best on Amazon for a budding entrepreneur. People pay for premium content and there is nothing immoral or wrong about providing said content to individuals for a fee – especially when they cannot find the information otherwise. Having multiple sources of revenue coming into your site can also allow you to pursue your passion full-time. We don’t consider that to be a soul-losing experience. « Should Facebook Be Worried About Google+? Truly, managing a top notch blog which has so many visits with daily activities could be a hard nut to crack. When people like your blog, they expect to see more and more contents published on regular basis. 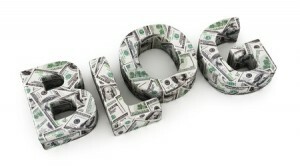 I think another good option to keeping a making money online blog is to invite guest bloggers. If there is content, your visitors may be tempted to click on ads they see on your site. You just need to find a way to keep them coming back by providing more information. I recommend this post and I hope I’m permitted to share it on my Facebook page. Nice post. awesome share. I really like this. Excellent information,a very good read with valuable content.